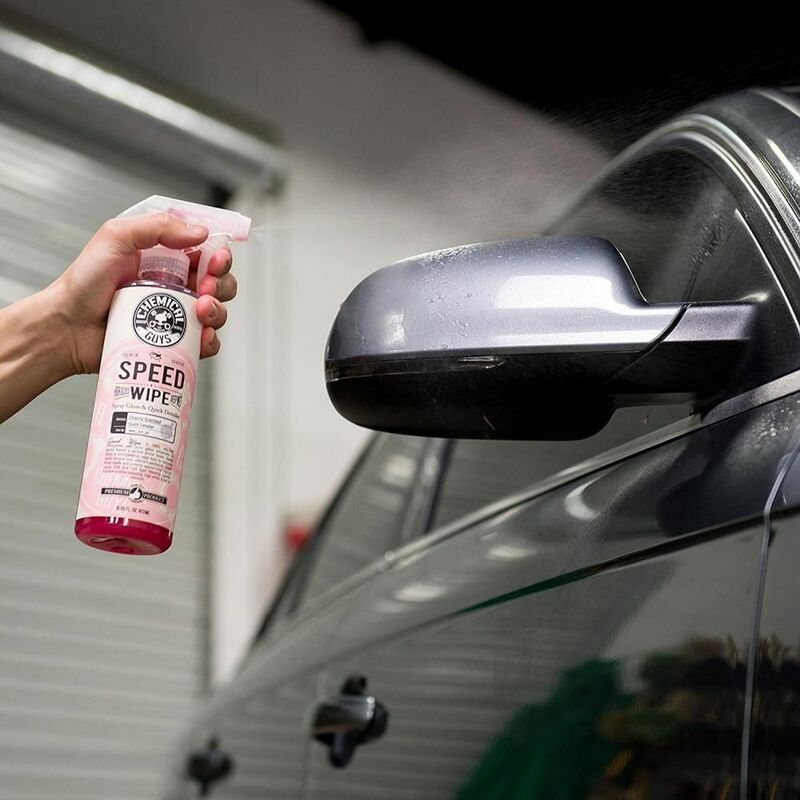 Chemical Guys Speed Wipe is a gloss enhancing quick detail spray designed to deliver a static-free mirror shine in minutes. The all new Speed Wipe is 100% wax free, formulated with pure gloss enhancers to deliver a perfect finish. Speed Wipe is engineered to repel dust by reducing static cling by up to 75%. Speed wipe cleans, shines, and protects using advanced UV solar blocking technology. Quickly and easily remove dirt, dust, fingerprints, and smudges in seconds. The innovative detailing formula works great on any car, truck, motorcycle, and custom vehicles. Achieve a high gloss shine in minutes with Speed Wipe. Simply spray onto the surface and wipe with a clean microfiber towel for a superior, static-free, deep wet shine that lasts. 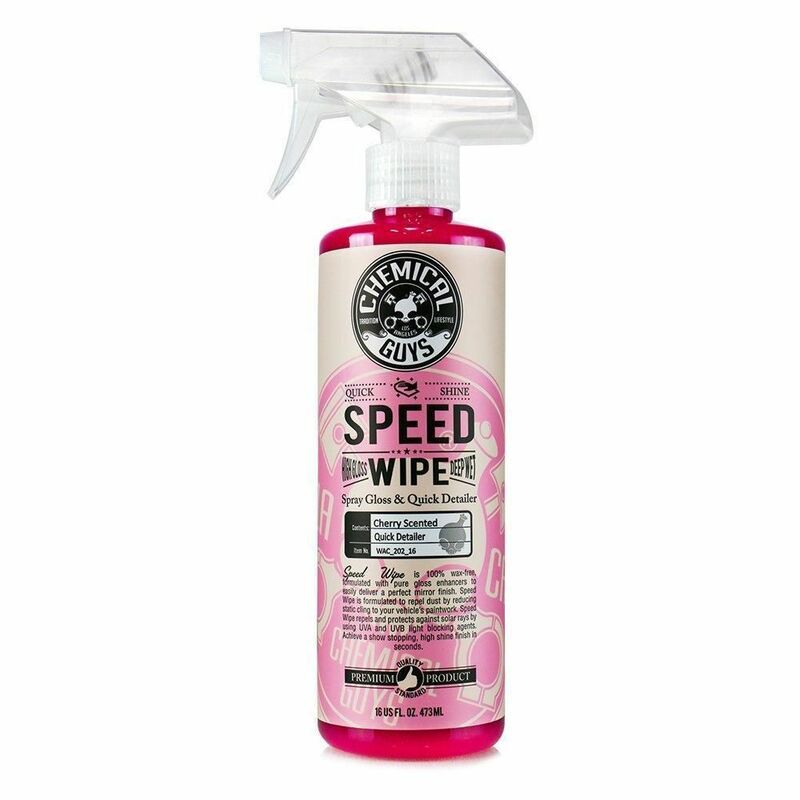 Speed Wipe can be used on any car, truck, motorcycle, boat, and classic automobile. speed wipe can also be used on painted exterior surfaces, chrome bumpers, windshields, trim, painted wheels, chrome grilles and even faux wood grain trim. 4. Wipe off with clean towel or micro fiber. 5. Mist after washing, while drying or anytime for a fast dry with a superior shine.